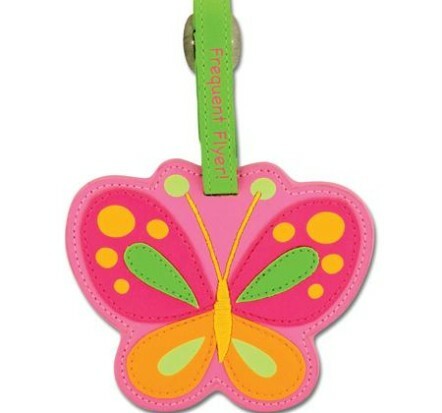 Tags: bag tag, luggage tag. 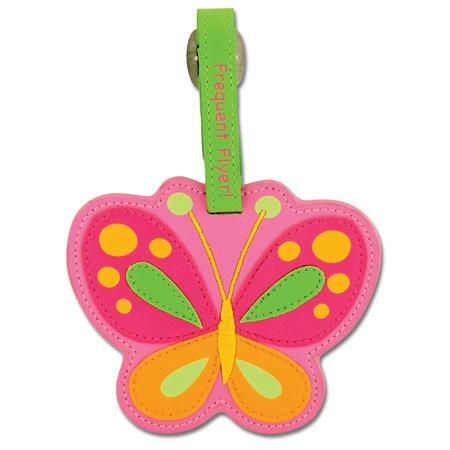 This pretty Stephen Joseph appliqued bag tag in the new butterfly design will look great with any Backpack, Overnight or Wheelie Bag. Includes clear pocket on back to show contact information and an adjustable buckle strap. Attaches to any bag for easy identification at airports. Individually packaged – would make a lovely gift.